Ways to Give Back on This Year’s King Holiday | Arts and Culture | Style Weekly - Richmond, VA local news, arts, and events. Martin Luther King Jr. famously said that life's most persistent and urgent question was, "What are you doing for others?" 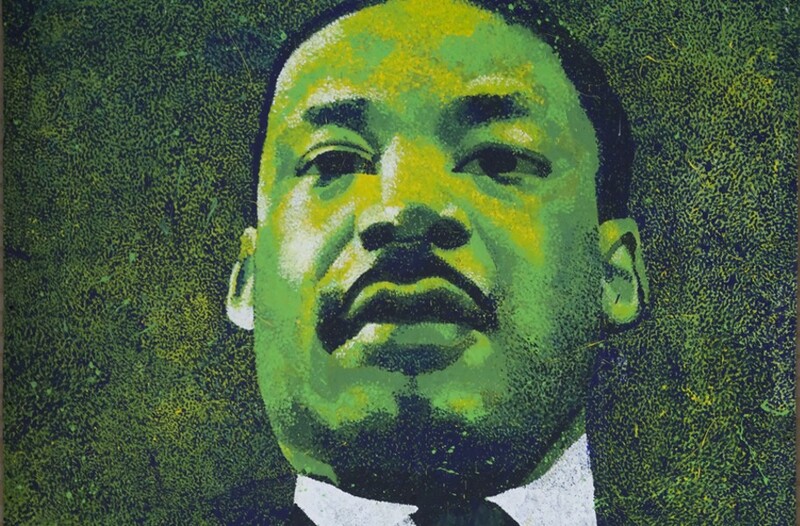 On the annual day to celebrate his commitment to others, many people choose to honor him by furthering conversations he started or participating in a national day of service as a way to transform his life and teachings into forging better communities. Hands On Greater Richmond offers myriad ways to serve the community on King Day. Volunteers can sign up at handsonrva.org. One way to get involved is joining the Neighborhood Resource Center of Greater Fulton in working for food justice. Volunteers are needed to help with constructing their community garden — mulching, building garden beds and moving soil into them — so that come spring, the garden can grow produce for low-income, home-bound and elderly community members. The goal is to alleviate food-access problems in the community. Wear sturdy, closed-toe shoes and clothes you don't mind getting dirty. Hats, sunscreen and water bottles are recommended. No expertise necessary, and tools, hot cider and cocoa are provided. 10 a.m., 1519 Williamsburg Road. Make a difference at a historic black burial ground. Evergreen Cemetery, established in 1891, is where several notable black Richmonders, including Maggie Walker and journalist and activist John Mitchell Jr., are buried. Because the cemetery was abandoned for years, volunteers are needed to assist with cleanup of the gravestones and surrounding areas. Tools are provided and volunteers should dress for being outside the entire morning, with long pants and closed-toe shoes. If you have them, bring gardening gloves. 9 a.m., 50 Evergreen Road. Lewis Ginter Botanical Garden needs help cleaning up its Children's Garden, a space dedicated to allowing kids to experience the great outdoors by observing wildlife in a natural setting. Volunteers are needed to mulch pathways and improve flower beds. Tools are provided. Be sure to wear comfortable clothes, dress in layers for being outside and bring water and work gloves if you have them. Meet in the Robins Visitor Center atrium. 9 a.m., 1800 Lakeside Ave.
Tying in with EnRichmond's Evergreen cleanup, the Maggie L. Walker National Historic site on Leigh Street pays homage to King's mission with a 30-minute presentation, History Uncovered: IOSL Gravesites in Richmond, focused on four people buried at East End and Evergreen cemeteries. All four were associated with the Independent Order of St. Luke, a group that provided for African Americans — first as a burial society, then a fraternal order and ultimately an insurance company — and, beginning in 1899, was headed by Walker. 2 p.m., Maggie L. Walker House, 600 N. Second St. Free. If you aren't able to perform a day of service but would like to mark Martin Luther King Day, there are many other options. Virginians for Responsible Gun Laws, the Virginia Center for Public Safety and the Charlottesville Coalition for Gun Violence Prevention are sponsoring an annual Martin Luther King Day Vigil and Day of Advocacy at the Virginia General Assembly in Richmond from 2 to 5 p.m. Interested participants should meet at the Bell Tower on the grounds of the State Capitol by 2 p.m. Hand-held signs and banners are encouraged, but nothing can be attached to a stick. The Byrd Theatre is showing "Hidden Figures" followed by a guided community conversation. The film details the story of the three black women mathematicians who worked for NASA during the segregated years of the 1950s and charted the launch of astronaut John Glenn into orbit. It screens Sunday, Jan. 14, at 4:30 p.m. free. And Richmond Public Libraries are screening "Selma" about King's legendary Alabama march from Selma to Montgomery in support of voting rights on Saturday, Jan. 13, at 2 p.m. North Avenue Library, 2901 North Ave. Free.